Every year, Russian students compete in the ACTR National Russian Essay Contest with Russian language learners across the United States. This year, Russian major Allison Stroyan ’18 was awarded honorable mention for her essay on the topic, “An Important Person in My Life / Важный человек в моей жизни.” In this year’s contest, there were 1,326 essays submitted from 67 universities, colleges, and institutions across the nation. Three judges read each essay and independently ranked them. 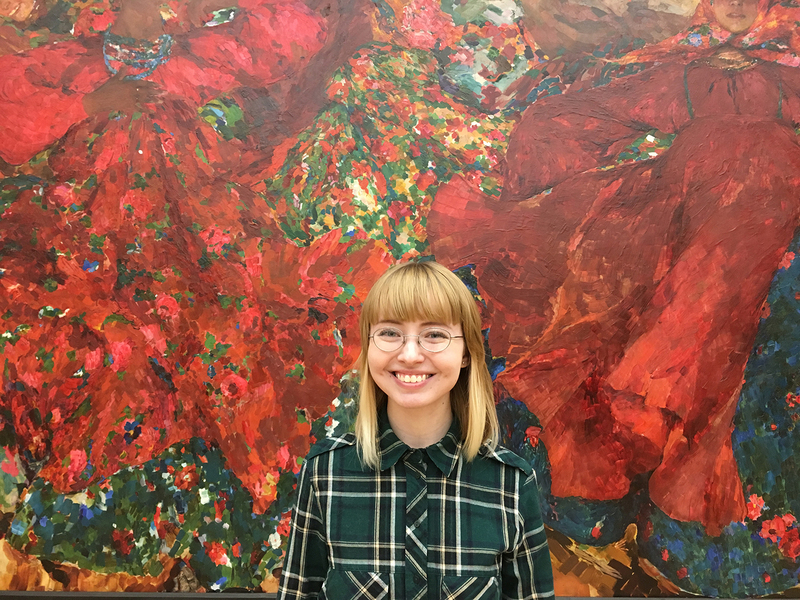 Allison spent the fall 2016 semester on the Dickinson-in-Moscow program, has worked as a peer writing tutor in the Multilingual Writing Center, has served as Russian Club president, and has worked with Prof. DeBlasio as a Dana Research Assistant.